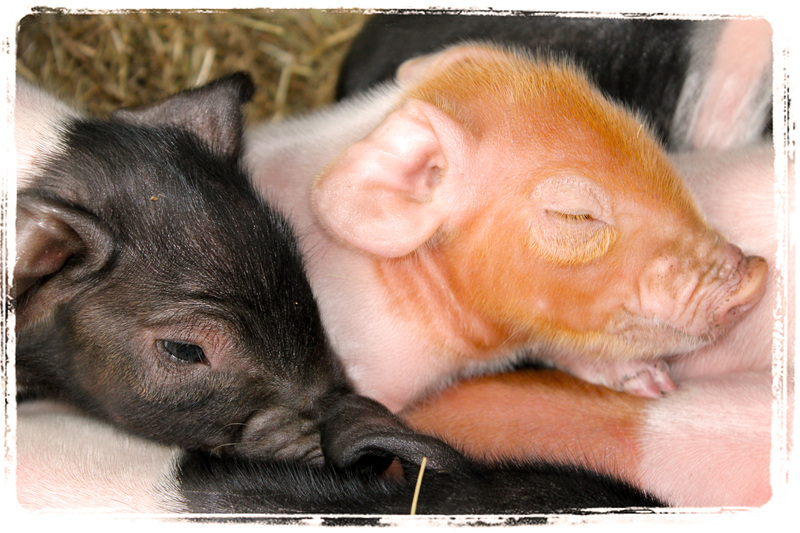 Our Saddleback sow Ginger (who has some Duroc thrown in her heritage somewhere – hence the ginger…) had her second litter of piglets yesterday morning. 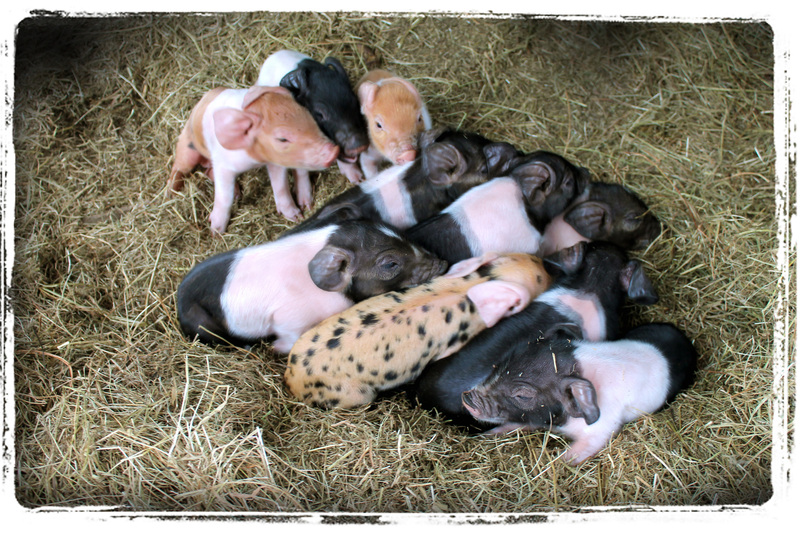 Ten lovely healthy little piggies. They are adorable. Most have nice saddle markings, including 2 ginger ones with saddles, and the same as her first litter there is one leopard look-a-like, orange with spots! Their ears are still all curled back and squishy. These porkies will look a lot less cute and a lot more trouble around early february – they’ll free range, graze and suckle til then with a supplementary diet of grain mix until they turn into solid, lean pork balls ready for market!